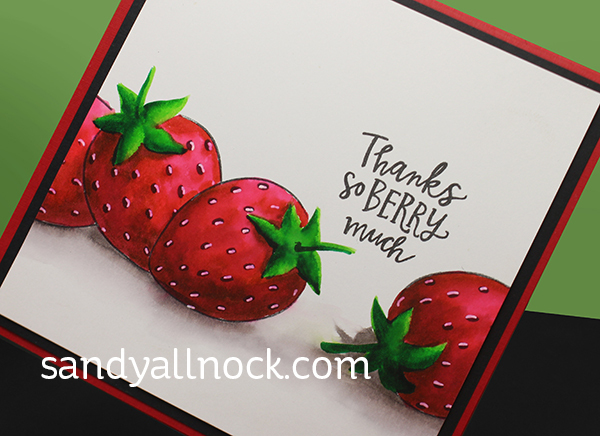 After watercoloring a strawberry in my sketchbook, I added strawberries to my YouTube to-do list after lots of requests….once I saw a stamp set that I could buy and use…here you go! ❤️Watch the video below or click HERE to see it in HD on YouTube. Love the simplicity of the design and the coloring! As always, PERFECT! 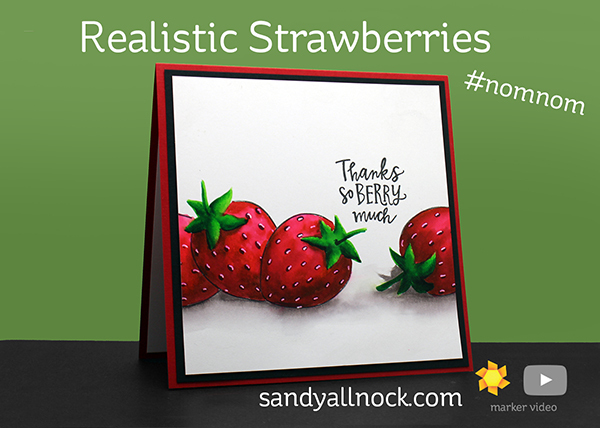 I almost can taste them, so realistic they are. Thanks for a great video. SO realistic, esp. your sample strawberry. Wonderful job on them! Hello Sandy, Such a long time no hear. Pray all is going well for you. Miss your “Operation Write Home” though.